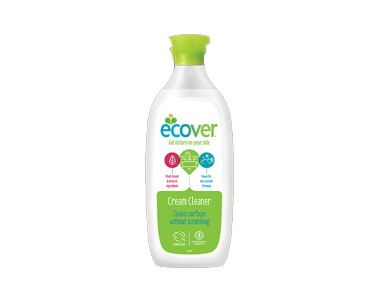 Buy Ecover Cream Cleaner 500ml in the UK from our online shop or directly from our independent Scottish store. Ecover Cream Cleaner lifts grease and erases stubborn stains on cookers and fridges, chrome and enamel. Looks like a softy, but acts like a tough nut. Ecover Cream Cleaner lifts grease and erases stubborn stains on cookers and fridges, chrome and enamel. The non-scratch formula made with plant-based and mineral ingredients, is perfectly powerful, leaving no nasty residues in its wake. We sell real Ecover and other Cleaning & Laundry directly from our shop in Scotland and online throughout the UK. View more products from Ecover. Where can you buy real Cream Cleaner 500ml safely online? If you are wondering where you can buy Ecover Cream Cleaner 500ml safely online in the UK, then shop with us. We are an actual health foods shop; with real people selling real foods and products. Our award-winning independent shop is located in Stirling, Scotland since 1976. You can buy our Cleaning & Laundry in store or safely place an order with us online or over the phone. Cream Cleaner 500ml - Ecover Cream Cleaner 500ml in Cleaning & Laundry and Household.